Laser interference lithography is a widely used technology for large-area patterning of surfaces on the micro- and nanoscale. It is mostly used for research purposes due to the limited area that can be uniformly patterned due to the Gaussian intensity profile of the laser. In the scope of this work, the lithography system was extended by a freeform refractive glass which provided a spatially uniform energy distribution for a homogenous structuring process. The energy variation of the introduced light was reduced to 2.6% for the exposed area (4 × 9 cm), which is one magnitude lower than the energy variation of a Gaussian beam. With the refractive beam shaper, it was possible to produce a uniform nanopattern with an absolute linewidth variation of 7 nm over an area of 4 × 9 cm2. The structurable area is limited by the mirror size of the Lloyd’s mirror device. The demonstrated LIL system was also able to generate variable light fields from Gaussian to flat-top as well as inverse Gaussian profiles. 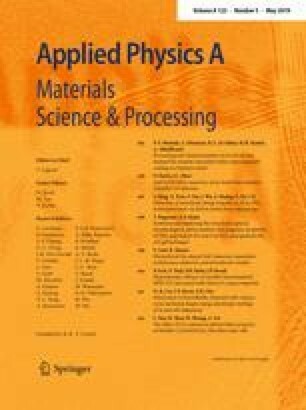 This paper demonstrates nanopatterning of negative resist with a square homogenous output profile of the beam shaper. The square shape of the beam profile gives the opportunity to efficiently structure substrates with a square shape. Apart from standard silicon-based photolithographic processes, this technique is also attractive for nanopatterning of organic light-emitting diodes on glass or graduated grid structures like polarizers. Consequently, the advantages of the LIL fabrication (high-throughput and low-cost fabrication) are extended by the opportunity to scale the single-exposure process to large areas with only small variations in the detail. We gratefully acknowledge Dr. M. Gerngroß and M Schirmer from Allresist GmbH for discussion and the provision of the photoresist and the chemical products. We also want to thank TOPAG Lasertechnik GmbH and U. Rädel for the technical assistance and discussion in terms of the beam shaper. For general discussions and technical assistance, we want to thank Professor J. Grimm and J. Saupe as well as Professor W. Zahn for the support with analytical equipment.